All Bynum homes currently listed for sale in Bynum as of 04/24/2019 are shown below. You can change the search criteria at any time by pressing the 'Change Search' button below. If you have any questions or you would like more information about any Bynum homes for sale or other Bynum real estate, please contact us and one of our knowledgeable Bynum REALTORS® would be pleased to assist you. 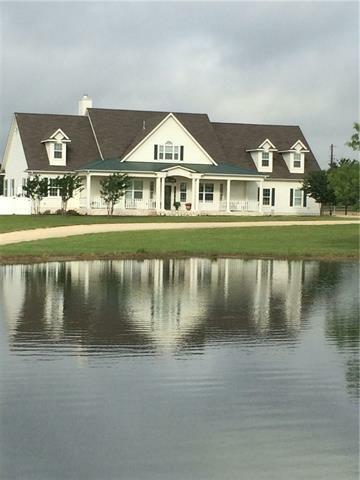 "Wide open spaces of peace and quiet country life with spectacular sunsets & starry skies as some of the amenities of living on this land in Central Texas. 4BR 4 bath 2 story colonial is comfortable and amazing from the country kitchen to the large walk in closets and storage space. Upstairs game room, screened in back porch, covered patio, guest quarters are amenities you don't find very often. Metal barn, workshop, equipment barn for the farmer. Rolling grassland hills, 2 stocked fishing ta"